Morning sunning and cleaning session. After Cierra's bath, Suki decided it was her job to dry her off. 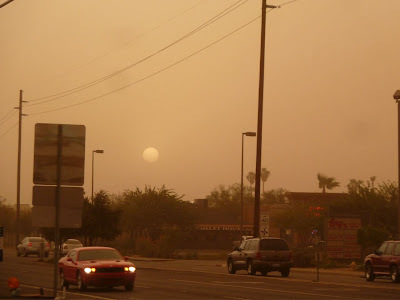 I took this picture of the sun while driving through Glendale about 7pm during a dust storm.